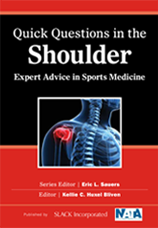 The Quick Questions in Sports Medicine Series provides a unique format of concise and to the point responses with clinical application, backed by the latest research. 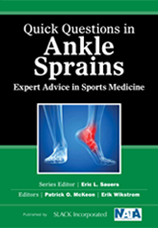 Written in a conversational tone, each book in the Series provides concise answers to 39 frequently asked clinical questions. 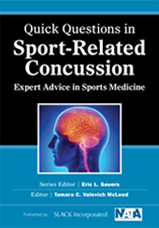 The authors of the individual questions represent a variety of different backgrounds and are experts in their respective field. The variety of questions and brevity of responses will make each book an easy-to-read and reference at the point of care. 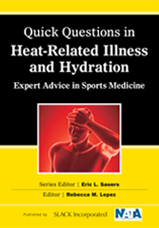 The Quick Questions Series is the perfect at-your-side resources for the athletic trainer, team physician, or sports medicine clinician looking for practical answers to common clinical questions. The concise and conversational tone allows the reader to readily apply the information into their everyday practice.